We were a little weary of always having to travel to Changi Airport to eat at Imperial Treasure Cantonese so decided to give the other outlet at Great World City a shot, seeing that it was nearer to us. Located in a corner on the 2nd floor of Great World City, it honestly didn't ooze as much finesse as its cousin in Changi in my humble opinion. And being a Sunday afternoon, it was packed so reservations are highly recommended. Roasted Pork - What was to have been the highlight of our meal fell short of expectations with an overdose of fat meat. It was literally 50% fat, 50% meat. Sure, the skin was crisp with nary a hint of salt but did seem a little too thick for my liking. Portions were ridiculously tiny as well. Shark Bone Soup with Fish Maw - Aside from the crunchy pieces of fish maw, I couldn't find any reason to like this soup. It was a little too coagulated which left an uncomfortable residue on the tongue and it lacked any oomph. So disappointing that I gave up after a few mouthfuls. Deep Fried Beancurd Skin - The beancurd skin was light and crisp with a nice smooth filling of prawn paste. However, it was drenched in oil which did come across as quite a turn off honestly. Roasted Goose - I was eagerly anticipating this dish as my previous experiences with it had been nothing short of excellent. Alas, it wasn't as good as we envisioned it to be. To be fair, the roast goose here was meaty with a thin layer of crisp skin sans the overwhelming foul taste. However, the meat was a little too dry, which marred the experience a little. Steamed Minced Pork Dumpling - It's the first time I'm having xiao long bao at Imperial Treasure and I must say that its really quite decent. Smooth and silky skin enveloping a generous amount of stock and a pork filling that was fairly mild on the hog taste. Just watch out for the high salt content. Deep Fried Pig's Intestines - I am a big fan of deep fried pig intestines so naturally I was delighted to see it on the menu. However delight turned to disappointment when I realised that the intestines were a little too oily and tasteless. The crisp exterior did nothing to salvage this dish. BBQ Pork Pastry - Flaky but lacking the buttery goodness that I personally like. The char siew filling wasn't sweet or starchy though. Bo Lo Bao - Another disappointment, the bo lo bao had a crusty top with a chewy and soft base. However, the fragrance was sorely lacking and the char siew filling was rather bland. Claypot Goose Web - The claypot goose web was the only dish which I thought was comparable to what I had at the Changi Airport outlet previously. Done up Thai style, the vermicelli was very flavourful with a rather heavy dose of Szechuan and black pepper for good measure. Not recommended if you are allergic to too much oil and salt though. Fried Kailan - How bad can stir fried vegetables get? Flavoured with a light touch of salt without being overcooked. Nice and simple. Steamed Custard Bun - Soft and fluffy bun coupled with salty sweet custard egg yolk filling - very good. Pity about the lack of yolk sediment though. Durian Pudding - Too coagulated was the first thing that hit me as I sampled a spoonful of what I had expected to be a delightful ending to our lunch. The whole pudding felt stiff and overly sweet. Thankfully the durian taste was still quite prominent. Palatable but not very nice. A rather disappointing lunch cost us just shy of $285 for 5 pax, which was definitely not worth the money in my humble opinion. The disparity between the food quality at the Changi Airport outlet and the Great World City outlet is just too huge to ignore and I really wonder why. Nonetheless, moving forward, I'll definitely be giving Imperial Treasure Great World City a miss. I don't commonly patronize a Chinese restaurant in a small group. The neighborhood kopitiam or food centre usually have something similar without the pinch on the pocket. But this time, an occasion calls for it, and I am glad I get to try this place out when the Girlfriend decided to treat her god-family and me together. 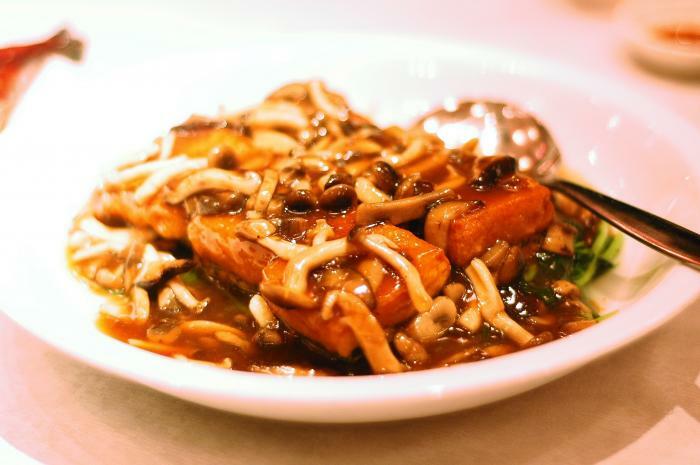 Imperial Treasure (Cantonese Cuisine) is somehow extremely popular for weekend dining. The food is pretty good and you can even have a private dining experience in one of the exclusive rooms. However, I had dined the spacious common area which was nevertheless a nice place. The intricate decor was a pleasant sight to behold and it added to the positive experience. Service standards here is really good with attentive staff literally seeing to every table they walk past. Response was quick and always reassuring when reactions from them required longer time. The staff are evidently well-trained, pleasant and extremely helpful. The food here, though on the pricey side is a testament of the chefs experience and skill. The roast goose was perfectly done with the skin crispy and the meat well-cooked but remaining tender to the bite. 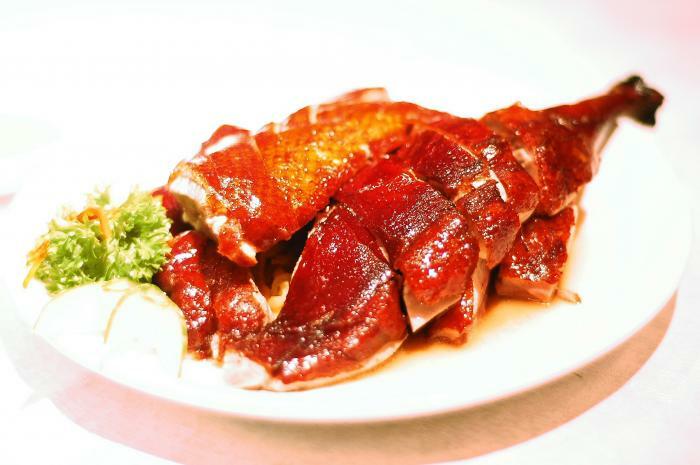 The special plum sauce accentuates the texture of the meat as well as the crispy skin. The next dish was a tofu dish. The tofu was deep-fried on on the outside but soft and delicate on the inside and place on over a layer of spinach. A thick, tasty mushroom-based gravy is generously drizzled over them. The gravy and the tofu blended very well together while the spinach helped to clear palate for the next dish. The third dish was Sweet and Sour Pork. I found this dish more on the sweet side, but it was still pretty good with the meat chunks crispy to the bite despite being totally covered in the sweet and sour sauce. 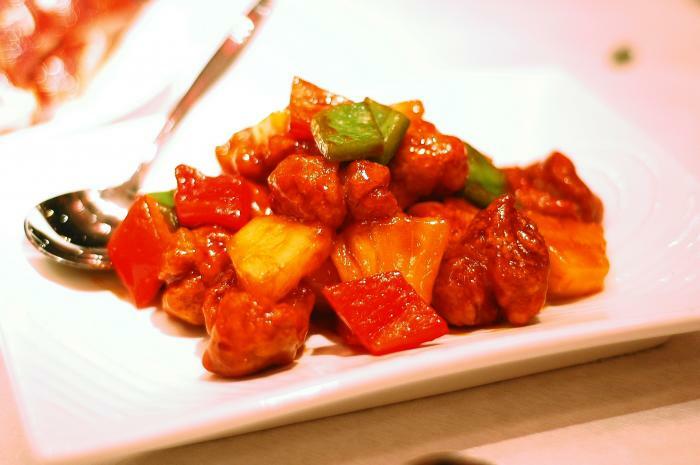 The side vegetables of diced capsicums and pineapples provided a good balance of taste. We then had sauteed fresh prawns. 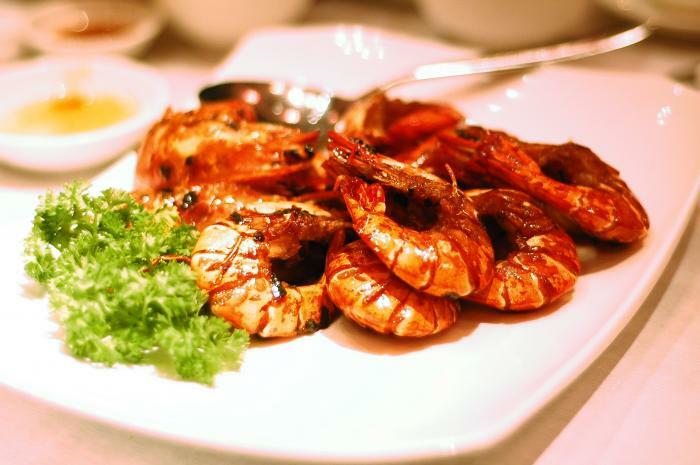 The prawns were deep fried before being sauteed with seasoning as the shells were crunchy and edible, especially the head. Every bite released a pleasant fragrance from the head shell and the flesh had the crunchiness only available from fresh prawns. We then realized that it took a very long time for our Winter Melon Soup to be served. We asked the wait staff twice for the item only to have them reply that "it will come soon". It was only when the dish arrived did we understand why it had taken so long. 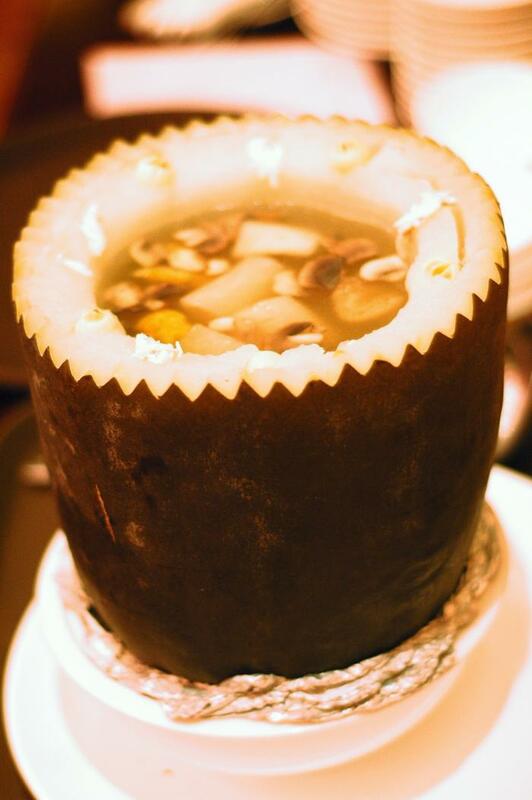 The soup was served in an actual winter melon. To serve, the wait staff had to scrap out the winter melon flesh. carefully so as not to break the skin. The contents were served in small bowls. The soup was light and flavorful at the same time and really tasty with plenty of condiments. In total, the winter melon held 14 portions of soup which we were able to finish eventually. The food here was great and I would love to come back for more. how much is the total bill? The winter melon sounds good! The bill amounted to just under $300.